Posted on September 23, 2014 by Campus Sartorialist and filed under GA, Women, UGA. 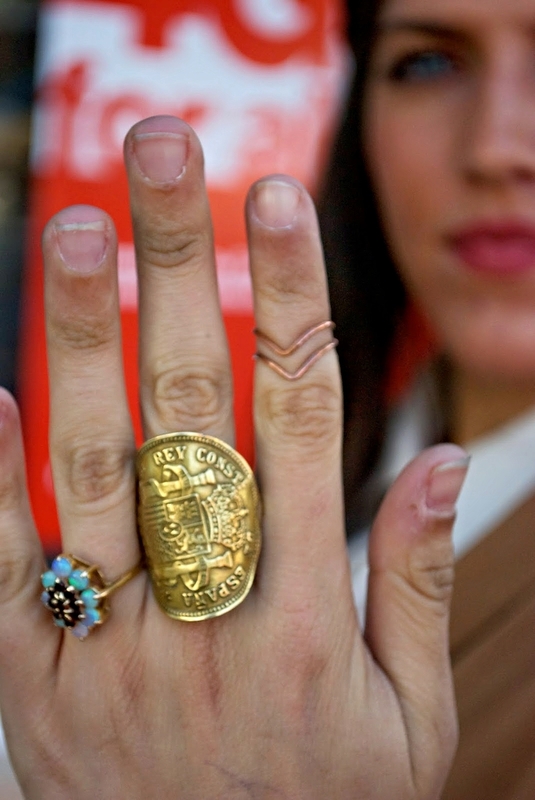 Bronze from her hair tips to her fingers, this UGA student adds a little vintage flair to her outfit, with a ring made out of a bent old bronze pesetas coin. Photo by Dana and Maddie for #MacysCampusTour. Posted on April 16, 2014 by Campus Sartorialist and filed under GA, UGA, Women, Macy's Campus Tour. It is spring break down in Athens, GA, and our two UGA Campus Sartorialists, Dana and Maddie are basking in the glory of 70 degree weather. Springtime is usually categorized with bright colors, poppy florals, easter eggs, and allergies, but this outfit turns those assumptions upside-down. Add some rock and roll "bad-assery" to your wardrobe with bright red lipstick, graphic tees, cheetah print, excessive jewelry and a can-do attitude. Check our #MacysCampusTour for more spring style ideas. Posted on March 31, 2014 by Campus Sartorialist and filed under Macy's Campus Tour, GA, UGA, Women. Another post in #MacysCampusTour from our UGA Campus Sartorialists, this time from Dana, who tells us she "loves loves loves crop tops for spring". "I generally like to stay covered up, so the long sleeves on this Material Girl top from Macy's help cover my lanky arms. I paired it with a fun Indian skirt that Maddie found at Goodwill (she said it fit my persona, does that mean I'm an Indian princess at heart?). 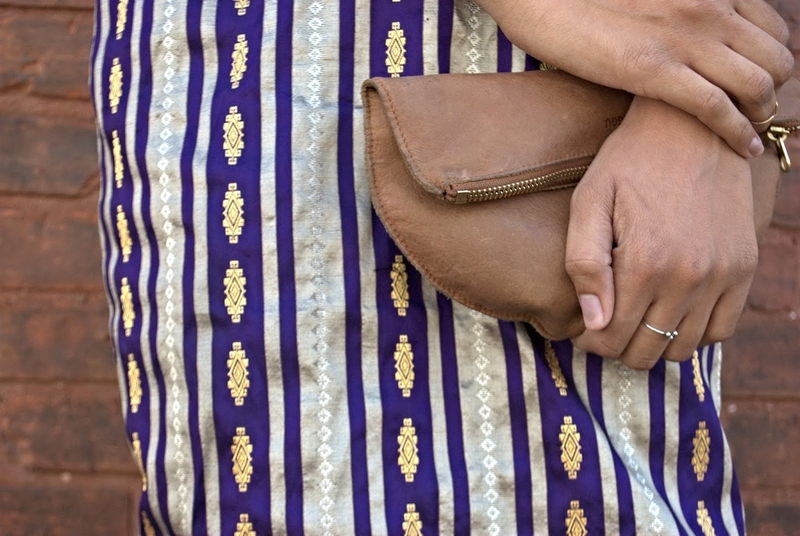 For accessories, I paired it with some chunky wedges, I found at Goodwill, stacking rings by Rhys May, a necklace by Laurel Hill and a simple Baggu pouch." Posted on March 19, 2014 by Campus Sartorialist and filed under GA, Macy's Campus Tour, UGA, Women. Posted on March 14, 2014 by Campus Sartorialist and filed under GA, UGA, Women. Our Campus Sartorialists at UGA, Dana and Maddie, went to Macy's this weekend, and armed with a $100 Macy's gift card put together a few spring inspired outfits. Here we have Maddie wearing a pair of American Rag overalls and an elephant print bolero. 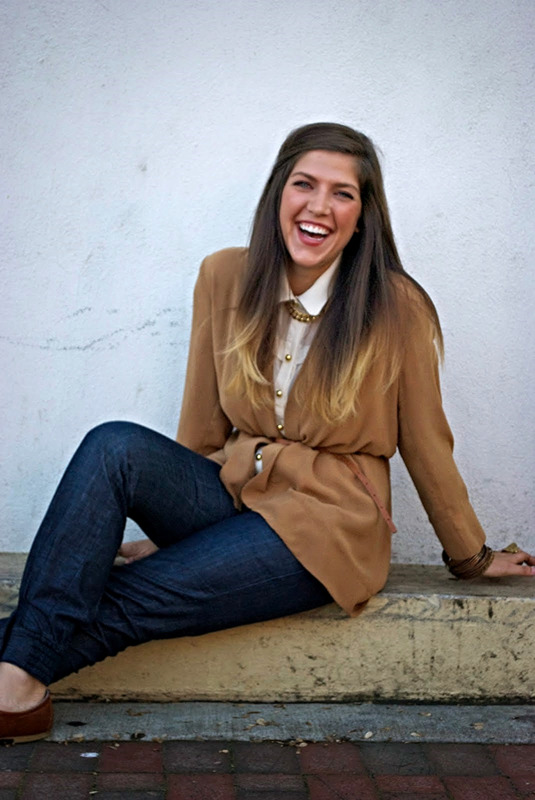 "When I was little my parents gave me free reign to dress myself, I instinctually gravitated to overalls. Unfortunately, I got older, and overalls were no longer considered a fashionable option (they were more of a diaper-y option). As soon as I saw these American Rag overalls at Macy's, it was love at first sight! I paired my overalls with a thrifted sweater, elephant vest, and my favorite pair of J.Crew boots." For more looks from check out #MacysCampusTour and Campus Sartorialist, and download the new Macy's app for Android and iOS phones for a chance to win a Macy's gift card! Posted on March 11, 2014 by Campus Sartorialist and filed under UGA, Women, Macy's Campus Tour, GA.
Posted on July 23, 2013 by Campus Sartorialist and filed under GA, UGA, Women.